Comptroller of Customs Carlyle Felix has disclosed that a resolution was reached with Chester Simon, the owner of the container that was seized by customs officers almost one month ago. Without disclosing the details of the arrangement, Felix said that following a meeting with Simon last week, the final arrangement with regard to relevant duties was discussed and agreed upon. “I met with him and we discussed the situation, and we reached a solution. He will be paying some fees because of the personal items that were in the container,” he said without disclosing the amount. The container in the spotlight was originally declared as a donation to the Ministry of Health from Simon who lives in Switzerland. 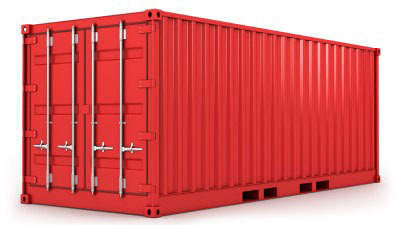 On that basis, Customs released the Container to the Ministry of Health. On further examination of the container, it was discovered that there were other items which were not meant for the Ministry of Health. Simon had arrived in Grenada during the Christmas holidays and handed over the items during ceremony on 6 January 2015. Shortly thereafter, customs officials then seized the container, because according to the customs regulations a false declaration was made. “The Division of Customs and Excise views false declarations as a very serious matter. Under the Customs Act, the Comptroller of Customs can seize all undeclared goods and issue a fine of up to five (5) times, the applicable duties and taxes,” said a press release from the Customs Unit that was disseminated by the Government Information Service. Based on the findings of the initial investigation by the Customs, the items for the Ministry of Health were released to the Ministry of Health. “The Division of Customs and Excise then seized the container for a full and thorough investigation to ascertain the duties and taxes for the other items in the container which were undeclared and for which duties and taxes are payable,” the release said. Simon has admitted that he made an error in the Bill of lading and describe some of the goods as special effects instead of personal items, but was prepared to pay the required amount. He was booked to return to Switzerland on 10 January, but remained on island until the matter was resolved. He left the island on Saturday. Some of the undeclared items include computers and laptops, musical instruments, lawn mowers and other home use items. He said that these items are to give away to persons. This was Simon’s fifth container to Grenada since the passage of Hurricane Ivan in 2004. He explained that the items collected are usually donated items from persons, organisations and institutions.